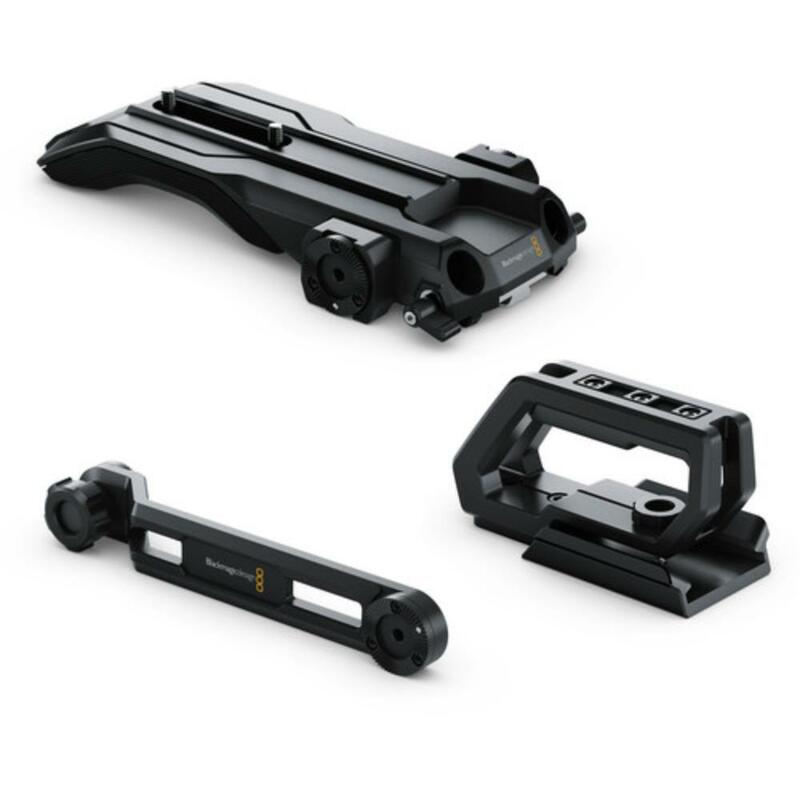 The Blackmagic URSA Mini Shoulder-Mount Kit gives you versatile mounting of your URSA Mini or Mini Pro between your tripod to your shoulder for quick ENG-style shooting. You can comfortably rest this kit and a corresponding URSA Mini (not included) on your shoulder comfortably for long periods of time. In addition to the rod clamps, padding, and quick release, this kit has rosettes on either side for mounting handles and other accessories so that you can fully customize the load. It pairs well with the Blackmagic URSA Viewfinder. 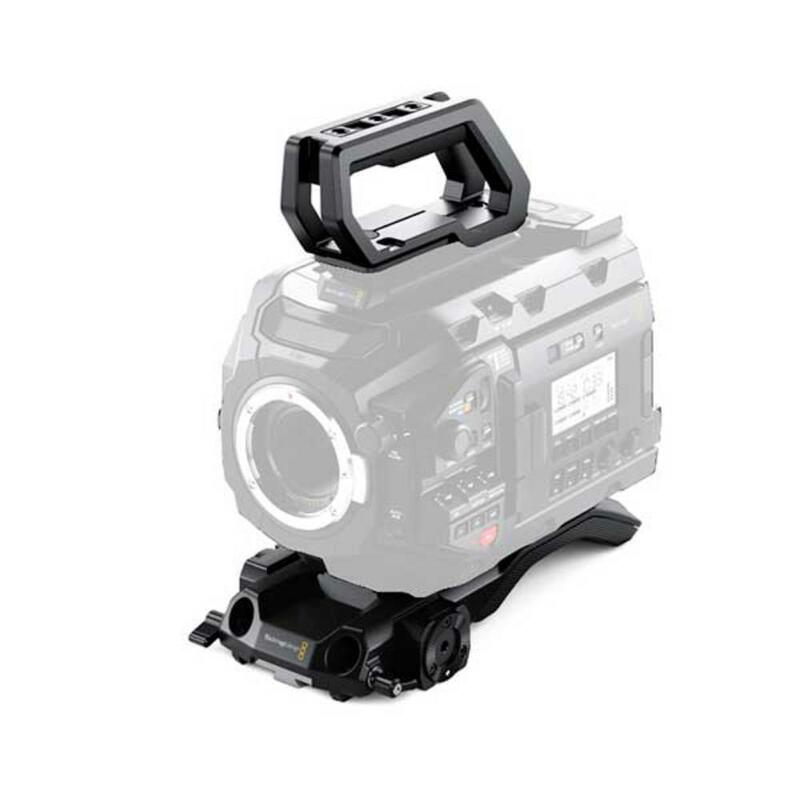 This kit is ideal for Blackmagic URSA Mini/Mini Pro shooters on the go.